Of course, there are benefits to each individual cell phone company. But as a small business owner, you may have certain criteria you need your chosen cell phone company to possess, like meeting certain money saving tips guidelines. This post will highlight some of those criteria you may be looking for and provide the best company to meet those specific needs. Your first, and possibly most important, criteria for phone service is cost effectiveness. You do not want to spend more money than you have to, but you still need good service. That is understandable. The cheapest option may not provide the most coverage or provide options for bundling services like wifi and cable, but if cost is your only priority, TracPhone may be the best option for you at costs as low as seven dollars a month. Although it may not be one of the “Big Four” cell phone service providers, TracPhone is by far the cheapest option for your small business. If your only real need is talk time this is a great choice, but this may not be an option for you if your business needs texting and data services as well. If your small business operates globally and you or your employees are frequently traveling out of the country or based in different locations, international coverage may be the most important factor for you. If you need a company that provides the best coverage in the United States and abroad, you should probably look towards Verizon or T-mobile. However, if you have employees based outside the country you reside in, it may be best for you to get them a sim card for their specific country. This will probably wind up being the cheapest option, but may not mean the best service. If your business operates globally and you or your employees frequently travel, you may want to consider Verizon or T-mobile. But remember, this may not be an important consideration if your business operates solely in the US. Sure, coverage is great. But if it is not reliable coverage, it will have little-to-no use for your business. 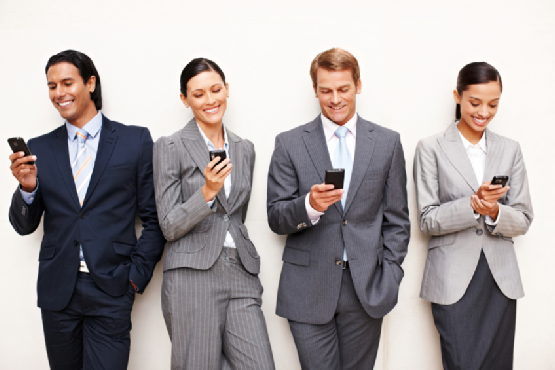 Imagine having to pay travel expenses for employees when you do not have cell service to keep in touch with them. This is easily avoidable, however. You need to find cell phone companies that can boast some of the most reliable phone services available. You certainly want to get what you are paying for, after all. If phone service is down all the time, this impact your business substantially. Make sure you inquire about how reliable each phone service provider is. Otherwise, your business may suffer. Maybe you just opened your business and you are looking for the best t1 connection for your cell phone, internet and cable provider all at the same time. Bundling options may be the most important factor in your considerations for the best cell phone company for your small business. Bundling services not only makes things easier, it usually makes them cheaper as well. If your main concern in finding a cell phone company with the option to bundle, you may want to narrow your search down to Verizon and AT&T. These two companies received the best ratings for how all three services stacked up, so you won’t have to worry about paying less and receiving spotty service. Verizon and AT&T usually offer special pricing on bundles at various times throughout the year. Try to keep an eye on prices between the two before deciding which one to go with. It is good to have an idea of the best cell phone companies to start your search with. If you do not mind the pay-as-you-go options for your business phone, you should definitely consider Boost Mobile, Metro PCS and Cricket Wireless. If you would prefer to secure a cell phone contract, avoid Verizon Wireless, previously thought to be the best but recently dethroned due to ever increasing prices and fees. Instead, consider Virgin Mobile, AT&T, Sprint or T-Mobile. These are the best cell phone companies to start your search with. You need to find a cell phone company that provides the best solution to your business’ specific needs. If cost is your only concern and your business does not have need for web capabilities or text messaging, TracPhone can be a great option. If your small business operates globally and you often need to travel, consider Verizon or T-mobile as they provide the best costs for coverage or roaming services. Verizon is also a great consideration if you would like the option to bundle internet and cable services as well, in addition to AT&T. It would be wise to research pricing for a little while before signing a contract, as both companies offer deals throughout the year. Think about what factor is the most important for your small business and do more research before committing. Otherwise, you may need to learn the failure modes and effects of poor business communications. As long as you are aware of the specific needs of your business, you are sure to make the right choice.